Steel Core Leather Gun Belt. 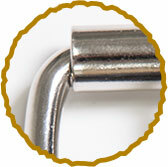 Quality Gun Belt Materials - See What We're Made Of. 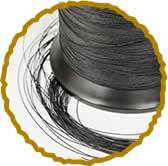 Extra tough thread keeps it all together to ensure a long life. 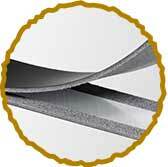 Flexible stainless steel adds maximum weight-bearing support to your belt. 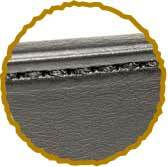 The edges of your belt are burnished, beveled and painted by hand. Hand cut leather is vegetable tanned and drum dyed to ensure a rich, consistent color. Durable snaps and a matching classic roller buckle are nickel plated to resist corrosion from the elements. Every good gun belt begins with premium raw materials. Naturally, selecting the right leather is crucial. That’s why we use English Bridle leather, the highest quality drum-dyed cowhide available. An English bridle leather gun belt offers a rugged strength, capable of carrying full sized handguns without any belt sag. You’ll notice that our leather is soft, yet super strong, and as it ages it will acquire the wonderful patina that you find with fine leathers. The performance of a standard belt is just not good enough, which is why we make each gun belt with a double layering of leather. Two straps, combined with a flexible steel core, will provide you with more support than you’ll know what to do with – guaranteed. To ensure quality and durability of construction, we stitch each leather gun belt using a military-grade thread known as Tex 270. This’ll be sure to keep your premium layers together over time. We believe a good gun belt also requires attention to the details. Each belt is hand burnished, beveled, and painted. Sure, this takes longer, but we believe it’s worth the effort. This process protects the edges and gives them an even look. To complete each gun belt, our craftsmen attach a premium roller buckle and directional snaps to match. We make sure to use a roller buckle to prevent the gun belt from being scratched or scuffed by “rolling” it through the buckle. Bigfoot Gun Belts Fit Just Right. Tough guys come in all shapes and sizes. Our belts do too. "All in all we were extremely satisfied with this belt and recommend it to anyone in the market for a quality gun belt for under $100. 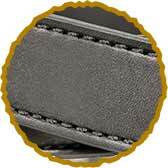 Bigfoot packs a lot of value into this gun belt between materials and craftsmanship." Why wear a gun belt that sags? To support your open or concealed carry handgun with a legendary strength, we’ve chosen to embed a strip of steel between two premium layers of full grain leather. 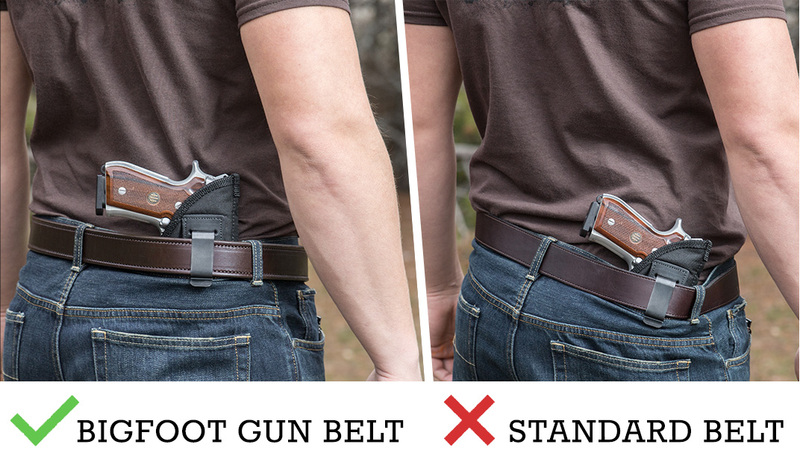 By doing so, we’ve managed to craft the best gun belt on the market today. 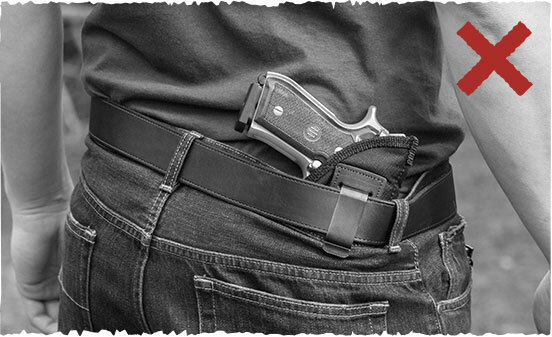 Instead of sagging under the weight of a mid to full-sized firearm, our steel-reinforced gun belts stay rigid and firm. No more warping, no more sagging - just a supportive gun belt strength you deserve. Many companies say they stand by their products, but we stand on ours. Just to prove that our gun belts are built to withstand a variety of daily hardships, this photo features a full grown man standing on one of our steel core leather gun belts. Gun Belts Made in USA – Bigfoot Gun Belts Are American. We are proud to make each Bigfoot Gun Belt in the Inland Northwest. As a company, we consider it important to create local jobs in our community while also bringing together talented craftsmen within our area. Our gun belt shop has the vibe and feel of a small company, but we have big goals and aspirations for the future. 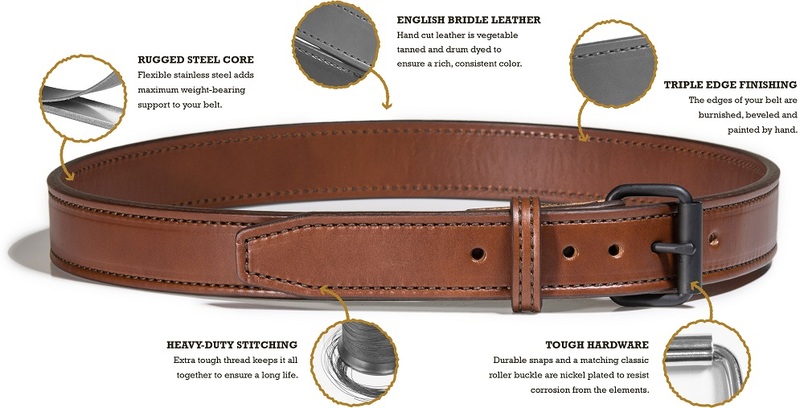 Like many other quality goods, our gun belts are top notch because they’re made in America. Within the walls of our workshop, we all feel a sense of pride and purpose in what we do. We give it our all, day in and day out, for a specific reason: you. Every gun belt we make is more than just a belt. It’s a tool for you to carry out your Second Amendment right into the world. We are honored to be relied upon by those who carry and as a company, we are proud to be American. 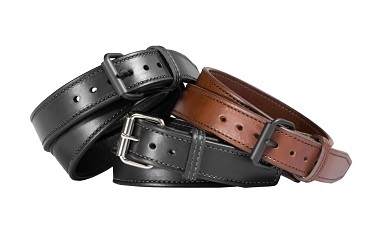 Affordable Leather Gun Belts – We’re at the Top of the Heap. Most of our leather gun belt competitors charge more than we do, as the average price for a comparable gun belt is $139.52 from other manufacturers. By cultivating and maintaining relationships within the industry, we’ve found a way to offer our premium gun belts at an affordable price. To provide more bang for your self-defensive buck, every gun belt we make comes with a legendary warranty. This includes a 7-Day Test Drive and a 1-year warranty. For just $59.88, you’ll be able to claim the belt that you rightfully deserve. If you’re not 100% satisfied by your purchase, send it back within a week for a refund. 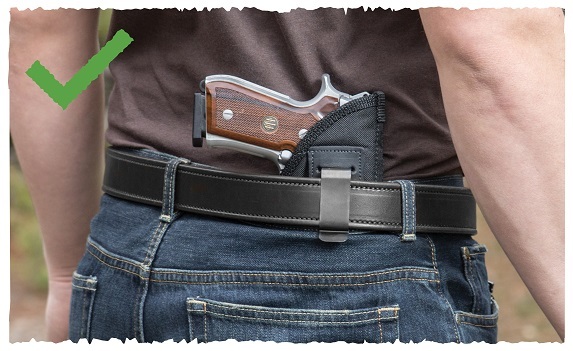 We offer this guarantee because we know you’ll enjoy your gun belt, down to the last stitch. Handcrafted with the blood, sweat and beards of hardworking Americans in the Inland Northwest, Bigfoot Gun Belts are made with a perfect blend of premium materials and old fashioned hard work. From the cutting table to the sewing machine, every gun belt is passed from one pair of capable hands to the next. Each craftsman does their part in creating a leather gun belt like no other. A legend in its own time. You may wonder why you need a gun belt. What will it do for you? At the very least, it’ll support your gun like no other belt has before. It’ll keep your most important line of defense stable—no matter what. And as an added bonus, you’ll look great wearing it. Our philosophy is simple: to craft each gun belt as if it were destined for our own waistline. And if that means taking a little more time to make each one, then so be it. To give you a little background on our company, we reside in the beautiful Inland Northwest. Nestled between the tall pines of North Idaho, our shop often smells of rich leather and oiled machinery. Beams of sunlight often stream through each window as leather dust swirls through the air. It is here that we make our premium leather gun belts.